How did a completely undisciplined child—an utter waster in his twenties, who squandered the best part of his early life in pubs and nightclubs of London— find himself sitting on the banks of the River Ganges with an extraordinary Anglo-Indian man discovering that his 30 year quest for freedom had been futile, and that he had been searching for a self that had never been lost in the first place? Ray sitting with a south Indian sadhu from Kerala. 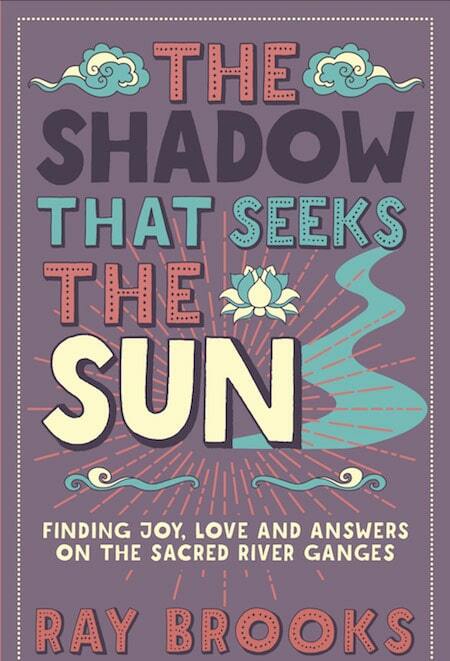 This is Part 1 of a guest post by author Ray Brooks based on his book The Shadow that Seeks the Sun. Ray and the publisher (Watkins) have graciously offered the chapter one as a PDF for FREE download. 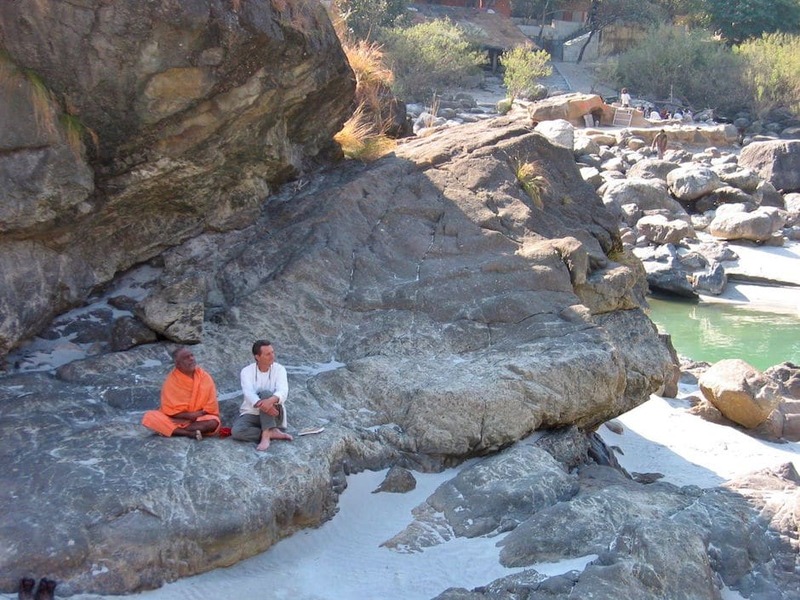 In The Shadow that Seeks the Sun, interspersed between stories of my time spent living in Rishikesh, India with my wife Dianne, I have reproduced conversations that took place between myself and a man called Rudra. In an attempt to make these conversations as understandable as possible, I have rewritten them from direct experience. There was never anything more important than the self-enquiry into the truth of who or what I am. 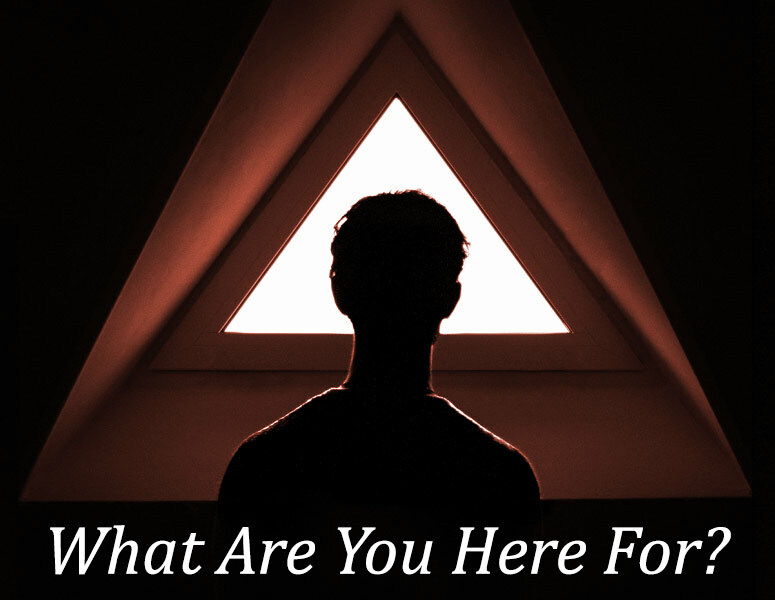 I had successfully avoided the traps of spiritual practices, systems and techniques and there had been many insights and positive changes in my life over the years. I felt I had a good understanding of what it meant to be free and could easily discuss the subject with fellow seekers. Only the outward appearance appeared to be free. . . I made better choices, material trappings held no interest anymore, my diet changed, my social circle changed. I knew I was not my thoughts, not this body, not this mind. I built an ivory tower from knowledge. When doubt or fear arose I knew that these were merely sensations and were not me—but this knowledge was not enough. The feeling that something was missing could never be fully extinguished. Between incredible periods of joy and happiness, I would again take up residence in the ignorance of the known. At the beginning of this dream journey I was the shadow in the title of this book. I thought that finding peace, happiness and freedom required tremendous effort – that in order to achieve a state of contentment and harmony in life, a journey must be taken from what I was, to a place I wanted to be, or, someone or something must be awakened or overcome. In the recognition of oneself not one step needs to be taken. Long before I met Rudra and other non dual teachers; Krishnamurti had pointed directly to this in our meeting together in Ojai, California. I had come across one of his books in the late 70’s in my search for answers. I didn’t understand what he was alluding to at the time but there was a certainty that he was speaking from direct experience. After reading and reading his books many time, I bought a ticket from London to Los Angeles and went to see him at his talks in Ojai, California. It was in those first moments at the Oak Grove that changed the course of my life as I knew it. Excerpt from The Shadow that Seeks the Sun . . . I was never going to make it on time for Krishnamurti’s first talk. I didn’t have a clue where Ojai was, never mind Oak Grove School. The taxi from the airport in Los Angeles cost almost as much as my monthly mortgage payment and taxi driver, once in Ojai, kept asking for directions. Finally, we found Besant Road—more dirt track than road—and I was dropped off at a five-bar gate with less than ten minutes to spare. Beyond the gate, I could see a crowd of several hundred already settled on chairs and on the grass awaiting Krishnamurti’s arrival. 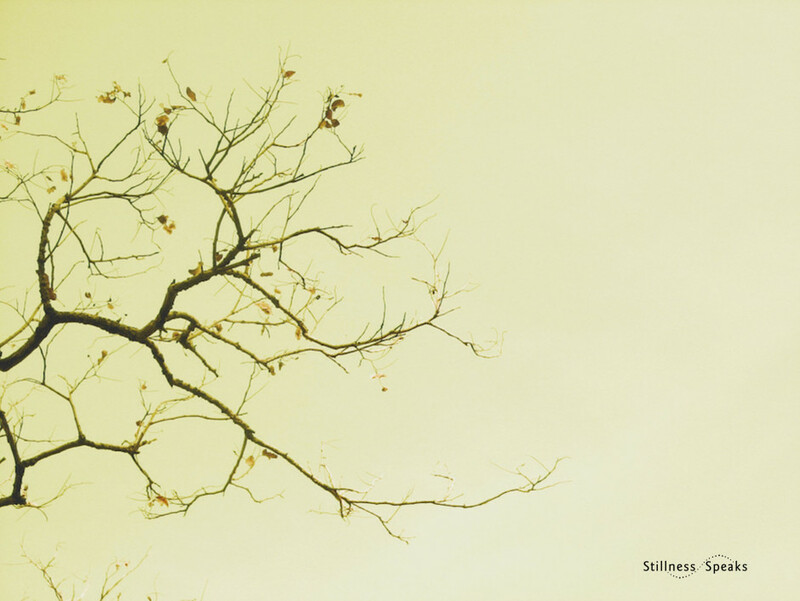 Only the crows squabbling high in the magnificent oaks broke the silence. I wasn’t the only one cutting it fine. I caught up with two men ahead of me and walked behind them, feeling a bit less conspicuous. As we passed though the gate, I heard one of them say, “I’ll go and move the car, K.” So, the other was Krishnamurti. With a polite wave of his hand, he ushered me ahead. For a moment, I was transfixed by the sheer sight of the man. Here I was, in the United States of America, standing next to Krishnamurti. The next thing I knew, I was speaking to him. In the quiet of the grove I could hear my voice amplified in my ears. He sounded more English than I did. I thanked him and then, feeling a little self-conscious, walked ahead of him into the Oak Grove. I found a place at the back of the audience and sat on my duffle bag. I promised myself that I’d be early for the next talk—and sit up front . . . I didn’t write this in the book but I thought about not going, I was so terrified of meeting him alone. 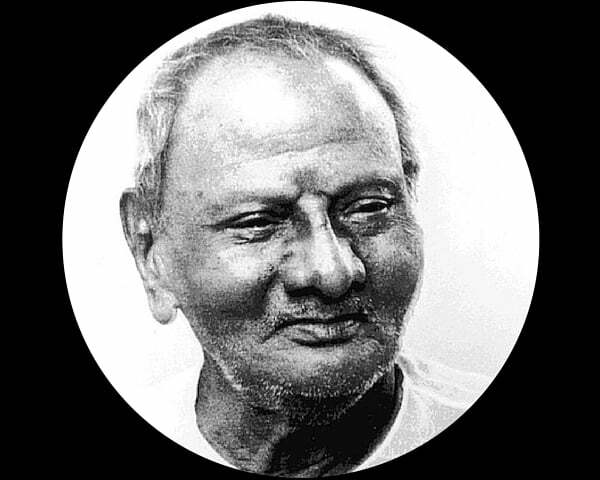 I have a friend who went to see Nisargadatta Maharaj at his home in Bombay. He arrived early before anyone else, climbed the wooden ladder to the loft, stuck his head over the top and saw Nisargadatta, feet up, smoking a bedi, reading a newspaper. After witnessing such an undignified pose for an enlightened being, he left. Years later, he still tells the story of his stupidity. I wasn’t going to make that mistake. I arrived early—two hours early—and entered a large, well-kept garden behind an old nineteenth-century redwood house. The lovely property, named Arya Vihara or Noble Abode, was Krishnamurti’s former home and where our meeting would take place. He had lived in this house for a number of years but now, during his visits to Ojai, stayed in Pine Cottage, which was behind Arya Vihara. An inviting bench at the far end of the garden was perfectly placed in the shade. It had a good view of the property and the sun-dappled lawns surrounding it. David Bohm, the theoretical quantum physicist, was another regular visitor. Bohm’s wife discovered Krishnamurti when she found his book First and Last Freedom at the library. She told her husband that Krishnamurti appeared to be speaking about the same wholeness and implicate order that he himself was exploring, although Krishnamurti wasn’t using science to describe it. That was the beginning of a thirty year friendship between Bohm and Krishnamurti. Bohm was able to legitimize Krishnamurti within the scientific world and beyond. He made the teachings accessible to those who would normally have shied away from what was seen as esoteric Indian mumbo jumbo. I wondered if any of the great thinkers who had visited this property understood what Krishnamurti was talking about and whether they had found unconditional freedom. If they hadn’t, what chance did I have? The discouraging thoughts brought on more nerves and forced me from the bench. I saw an opening in the trees and walked along the small path that led into an orange grove. The butterflies in my stomach would have felt right at home here. I could see why Krishnamurti picked this time of year to live in Ojai. The late afternoon light was glorious and the air was filled with the perfume of orange blossoms. To my delight, the path eventually led to a large, white house, which I instantly recognized as Pine Cottage. I had seen a photograph of the cottage in one of my books. There didn’t seem to be anyone around so I walked toward the building. He had been unwell for several days, experiencing fever and severe pain in his head and neck. On the third day it was suggested that he rest in the shade of the young pepper tree in the garden, which he did. 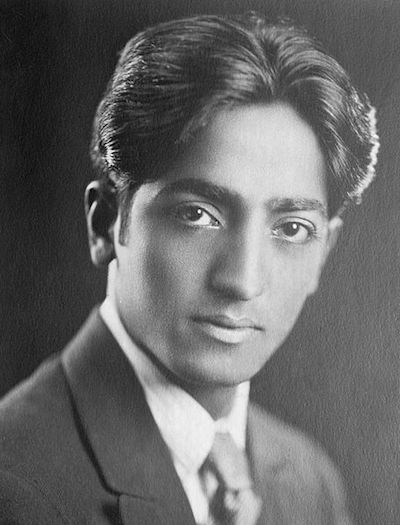 As the pain eased, Krishnamurti became acutely sensitive and, a few days later, wrote that he had an extraordinary experience while under the tree. 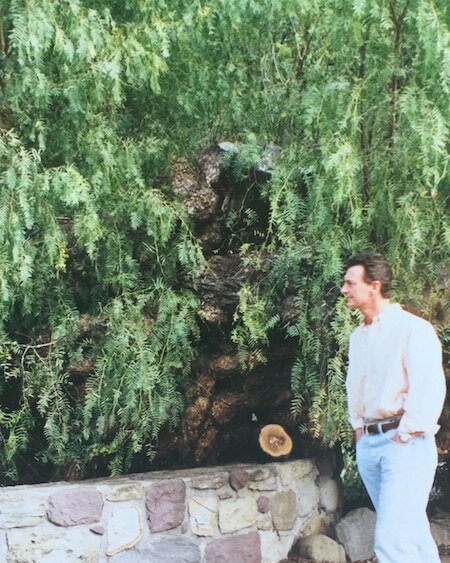 I went over to the tree and perched on the stonewall surrounding it. Krishnamurti reported that he could feel the vibrations of Lord Buddha under this very tree. All I could feel was my nervous stomach and the fear of being discovered on private property. Ray Brooks is a British author, born in Newcastle upon Tyne. Ray is the author of Blowing Zen, Finding an Authentic Life, (Sentient Publications), Ich ging weg der Zen Flote, ( Ananta) a musician and recording artist who is internationally respected in the world of shakuhachi Zen flute. 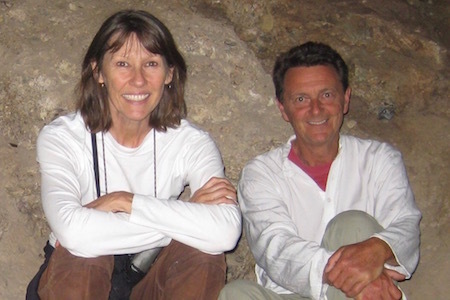 Sharing a passion for travel and adventure with his wife Dianne, the co-author of The Shadow that Seeks the Sun and Blowing Zen, they have explored the world together and spend most of their winters living in the foothills of the Indian Himalaya. Images : J. Krishnamurti from Wikimedia Commons and Nisargadatta Maharaj (by Jitendra Arya (http://www.acornpressonline.com/) [Attribution], via Wikimedia Commons). All other images are provided by Ray Brooks and used with his permission. Have always been interested in K. I first heard him in Ojai at age 8 with my Mother and my great aunt Mary Francis Clark who was also his sponsor both in Ojai and in Sannen. 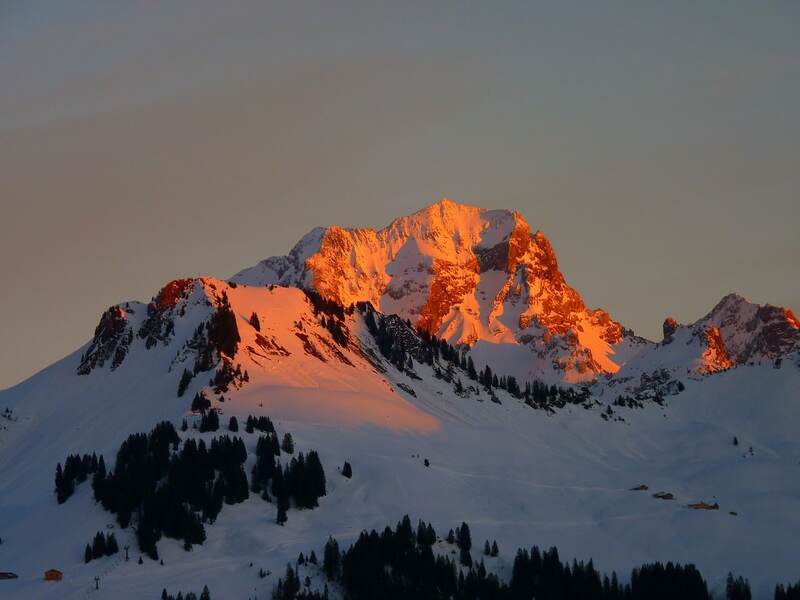 Here children attended my grandmothers school in Gstaad where I have lived on and off for many years. But I have always found hi# writing somewhat inaccessible. I hope you will help me with this. 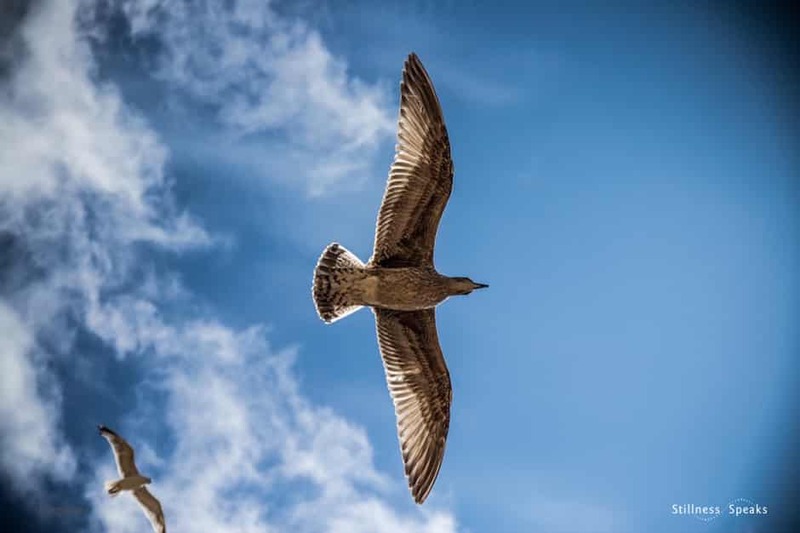 K was one of the teachers in our old Stillness Speaks and that content is in the “migration pipeline” and will be published sometime in the future – will include both a teacher page (here’s a sample) on him plus other related posts. We strive to make teachings more accessible in the way we present (and have received positive feedback re that) … so, we might be able to help you in that regard.